Merger and acquisition activity in the oilpatch got off to a sluggish start this year: the first two-and-a-half months saw $13 billion spread over 13 deals, compared to $16.2 billion over 26 announcements within the same period last year. 2017 activity so far has been dominated by a $12.7-billion foreign-asset purchase by Canadian Natural Resources. But oil prices are expected to average higher this year, which oil industry and deal-making experts should inspire more mergers and acquisitions (M&A) by companies, according to the Financial Post. “Stability in commodity prices is key in getting transactions across the goal line, so we think we’ll see more M&A occurring in 2017,” said Sayer Energy Advisors vice president Tom Pavic. Breaking last year’s record will not be easy, however. In 2016, there were 140 deals worth a total of $76.6 billion in the oil, gas, and consumable fuels space, according to FB Infomart data. Two of the biggest buyouts were TransCanada’s $13-billion purchase of Columbia Pipeline Group and Enbridge’s $37-billion takeover of Spectra Energy. Oil and gas companies have not been shy in marketing their assets. According to Mark Young, a senior analyst at Calgary-based energy consultant firm CanOils, oilpatch players have been promoting assets that produce 138,000 barrels of oil equivalent per day. Sayer Energy Advisors is helping Shell Canada and Birchcliff Energy market some natural gas assets, and ConocoPhillips said late last year that it was pondering the sale of some Western Canadian Assets. 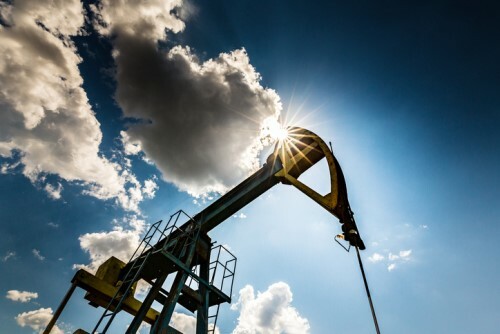 Conducting a survey of oil and gas execs and investment bankers, Torys and Mergermarket found 67% of respondents expecting an increase in energy sector deals over the next 12 months. Large-cap oil and gas producers were expected to lead acquisitions, followed by international oil companies. “[C]ompanies are focusing on being better in their core areas and focusing their capital on that core,” said Torys partner Chris Christopher. For Ari Pandes, a professor at the University of Calgary’s Haskayne School of Business, 2017 deal-making activity would likely be motivated most strongly by portfolio realignment concerns. “The hot thing last year was — when oil prices were so low — some companies were debt-laden so they had to shore up some cash and get their balance sheets in order,” he said, explaining why firms were eager to sell assets at the time.